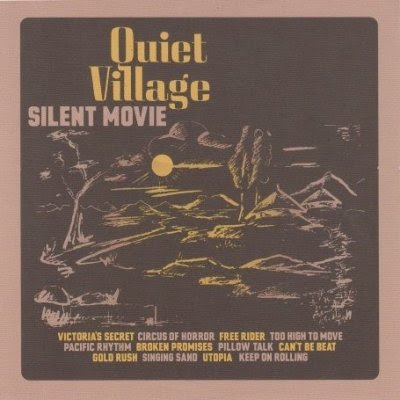 Quiet Village have just released their amazing debut album 'Silent Movie' (out now on Itunes and May 13th as hard copies) and just like the name implies it's like a soundtrack to an amazing movie that hasn't happened yet. Like other bands like The Avalanches who they remind me of, they mix and match a lot of different elements and samples to form an amazing piece of art. Mostly instrumental you can put this album on and let yourself be transported away to another place and time, from India to a secluded island beach. It's exactly the type of music that lets your mind float away and enjoy the beauty that music can bring. Sure to be a Classic! Highly recommended! !